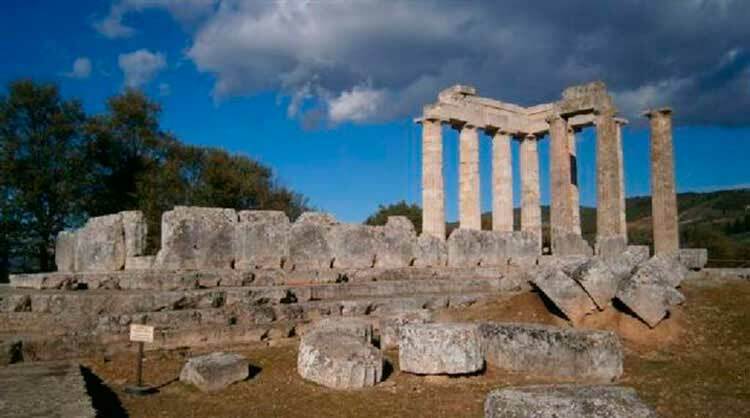 GRECE – Athènes - Archaeologists claim that most Athenians had walked the Iera Odos in antiquity. Now, thanks to the metro, modern Athenians will have the chance to follow the same route, only this time underground. During the archaeological excavations conducted, due to the metro stations’ construction, the biggest part of the ancient Iera Odos came to light, at the Egaleo station. Iera Odos connected Athens with Eleusis and, throughout its course, it followed the procession of the Eleusinian Mysteries during the celebrations for Demeter and Persephone. The revealed part is framed by retaining walls and the cemetery built along the Iera Odos. Following the Odos, Greek archaeologists collected sarcophagus, cuttings, marks from an ancient wagon wheel, burial goods and other finds. At the Eleonas station, three foundation âpedestalsâ of the ancient bridge belonging to the ancient Kifissos river were unearthed, while at the âProfitis Daniilâ ventilation shaft part of the ancient Iera Odos was revealed, along with its retaining walls, which dates from the Geometric to the Post-Roman era. Dozens of clay jugs testify that Attica had rich and exploitable resources of underground water. Lamps, loom weights, tools and kernoi (pots where they put fertility seeds), grave offerings from children burials in cemeteries of the Iera Odos attest for a wealth of lost treasures. The most “fascinating” of all finds, however, as the Secretary General of the Cultural Ministry Lina Mendoni described it, were the bones of an unburied horse, which drowned in one of the Kifissos river floods. Based on the excavation data, the archaeologists assumed that it fought for its life until the end. It fell and was buried under heaps of alluvium, with its head slightly raised in a last effort to hold itself above the mud that soon covered everything. CHINE – Zitong - Construction workers unearthed what experts believe to be the ruins of an ancient kingdom dating back to 201 BC in Southwest China, Chengdu Commercial Daily reported. The workers discovered pieces of tiles, ceramic pots and jars in a dozen foundation pits at the construction site in Zitong county, Mianyang, Sichuan province. Archaeologists from Mianyang arrived on Dec 14. They found two ancient tombs and relics from a brick kiln, and preliminary concluded that the ruins were from the Kingdom of Guanghan. The Kingdom of Guanghan was established as the third state under the jurisdiction of Sichuan during the West Han Dynasty (206 BC — AD 24). The earliest two states in Sichuan were the kingdoms of Ba (including today's Chongqing municipality) and Shu (including today's Chengdu, capital of Sichuan). Song Jianmin, the leading archaeologist from the cultural heritage bureau in Mianyang, determined that a pattern of ancient coins on a brick found at the site was made during the Han Dynasty — further evidence that the ruins belonged to Guanghan Kingdom. The case will be reported to Sichuan provincial authorities for approval to evacuate the relics. The findings will help advance studies on the culture and history of the region. GRECE – Nemea - Until recently, only one column from the peristylion of the Temple of Zeus and two more from the entrance to the portico remained at their original positions, as the majority of the Corinthian columns that once graced the interior of the Temple of Zeus, were used for constructing the interior of a Basilica, built approximately 100 meters south of the temple. 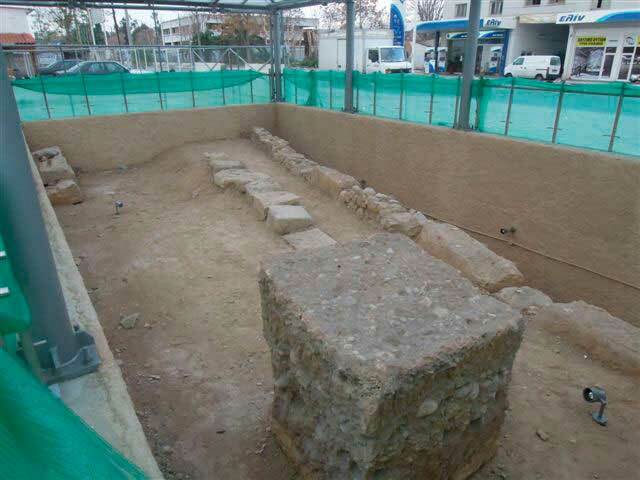 A few days ago, however, the scaffoldings placed for the reconstruction of the temple were removed and the Temple of Zeus appeared in different dimensions: with nine columns in their positions forming the north-eastern corner of the building, and two of them crowned by their epistylia and at a higher level by a triglyph. The realization of the project required many years and the efforts of many scientists, that succeeded one another. According to civil engineer and restoration consultant, Dr. Konstantinos Papantonopoulos, responsible for the last phase of the project, the reconstruction of the temple’s entablature, the fact that more than 70% of the temple’s original material survived was a critical factor that helped the reconstruction. However, the composition of the stones, with which it was built in antiquity, caused many problems, as this sort of psammitic limestone has a much smaller mechanical durability compared to marble and other hard limestones which were used for the erection of monuments. The ancient craftsmen were very well aware of this fact, and coated the columns and other architectural members to protect them from damage and decay. The limestone used in the project for the preparation of the new stones is extracted from a nearby area, very close to the ancient quarries.